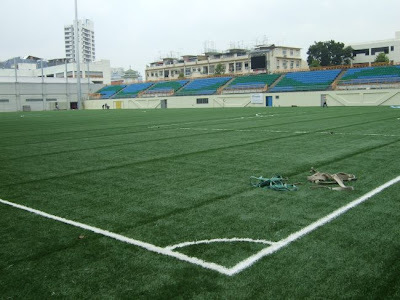 Hopefully, this new playing surface will end the agony of some players who complained the "batu"(rock solid) surface of the Jalan Besar Stadium. 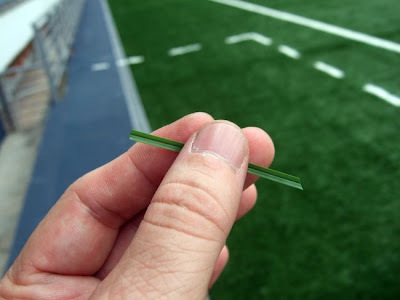 According to Mr Wong Chee Hoong, the director of "ibuild Sportscape Pte Ltd" - the contractor responsible to lay out the new surface, this new playing surface is weather-proof and the blade of the playing surface are sculptured to be just like the real blade of grass with a "backbone at its back". "It just feel like the real blade of grass"
A shot from where the corner flag will be. Workers putting finishing touch to the playing surface. I think the best option right now is hybrid grass pitches. A growing number of EPL teams are using this. Even other sports like rugby and American football are starting to use hybrid pitches. 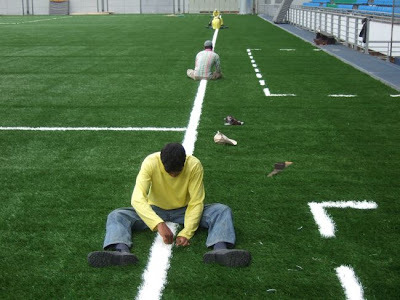 It is a mix of natural grass reinforced by artif...icial grass fibres so it has the best of both worlds. 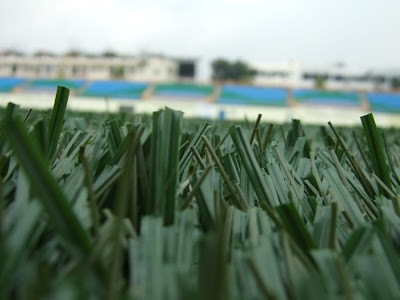 You have the durability of an artificial pitch and still retain the feel of a natural pitch. Though I doubt they will lay the JBS pitch again, I think this is a perfect solution for our new national stadium pitch given the multi purpose nature and heavy usage of our national stadium. Hope our new national stadium will invest in this. Sorry if I sound like a sales person :P but I just want the best for our footballers and fellow fans.